History is made in a moment. 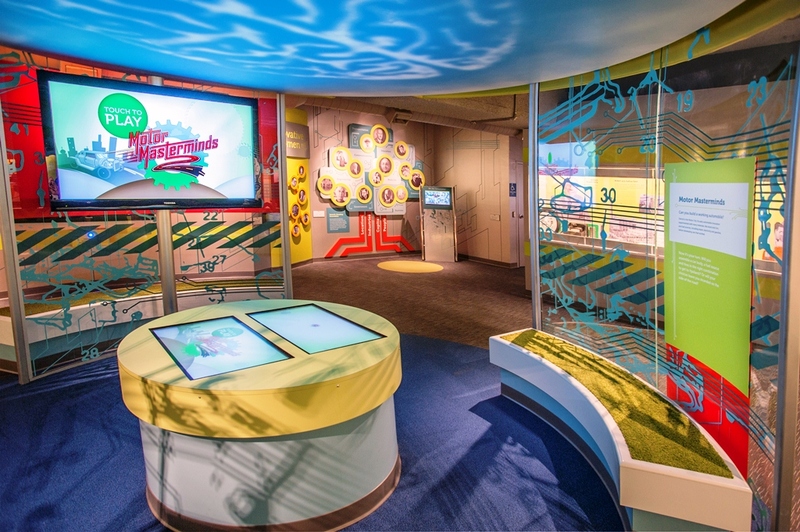 Be among the first to see seven exciting new and enhanced galleries and exhibitions at the Detroit Historical Museum located in Detroit's vibrant Midtown neighborhood -- for FREE! After six months of renovation, the Museum celebrates its grand re-opening on Friday, November 23rd, the day after Thanksgiving. They will be open at 9:30 a.m. sharp and stay open around-the-clock until Sunday, November 25th at 5:00 p.m. In addition, they will feature special giveaways, raffles, all-night movie marathons and more! Metro Detroit themed Movies are in the house! 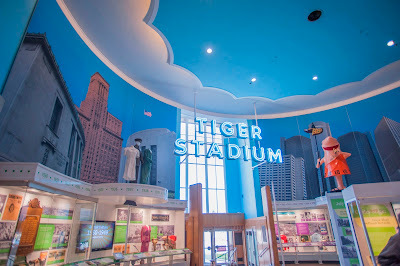 On your way into the Museum, make sure you stop to see the outdoor attraction, Detroit Legends Plaza, which contains cement cast handprints and signatures of Detroit celebrities including sports legends Dave Bing, Al Kline, Joe Dumars, Tommy Hearns, and Barry Sanders, actress Lily Tomlin, rock legend Alice Cooper and others. Detroit Newscaster Diana Lewis recently cast her handprints and signature during a special private ceremony on the plaza that I was fortunate to have attended. On Sunday morning on November 25th at 9am, local television luminary Bill Bonds will also cast his hands and signature in cement live on the Detroit Legends Plaza. Among the new exhibits are The Allesee Gallery of Culture, the Kid Rock Music Lab, Detroit: The “Arsenal of Democracy,” and The Gallery of Innovation. 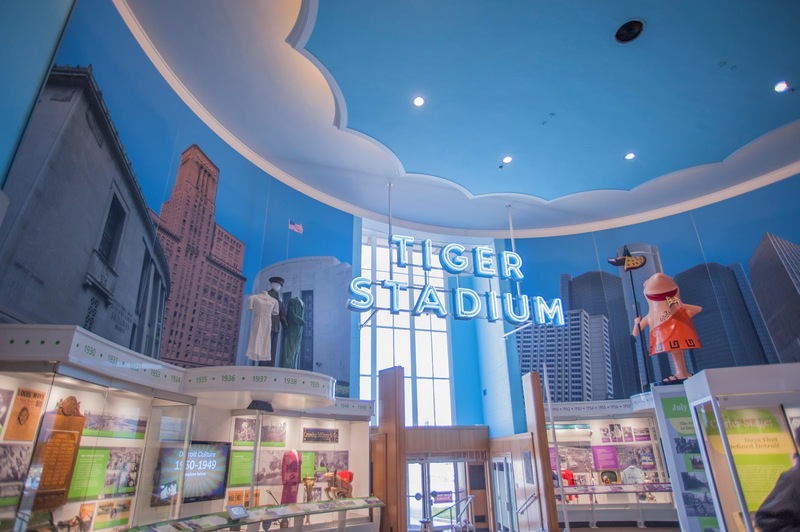 Among the revamped and enhanced offerings are the Streets of Old Detroit, Doorway to Freedom – Detroit and the Underground Railroad and America’s Motor City exhibits. · Visit the Innovation Station – Test your skills at mixing your own soda pop flavor in the Gallery of Innovation. · Enjoy a “Rock” Concert – Take in the sights and sounds of Kid Rock’s 40th birthday concert at Ford Field in the Kid Rock Music Lab. · Catch a Ball Game – Relive the Detroit Tigers’ 1984 World Championship Season in the Allesee Gallery of Culture. · Find Your Way to Freedom – Step across the Detroit River into Canada as you make your way along the Underground Railroad in the Doorway to Freedom – Detroit and the Underground Railroad. · Enjoy a Taste of History - Step up to the counter at a replica of the first Sanders Confectionary store on Woodward Avenue during the 19th century in the Streets of Old Detroit. · Go Hand to Hand with Gordie Howe – Match your handprints to that of more than 20 of Detroit’s cultural icons in the Detroit Legends Plaza. · See the Motor City’s Finest – View a rotating display of some of our region’s most exceptional automobiles in our new Automotive Showplace in America’s Motor City. · Become a Conductor – Control the model trains in the re-designed Glancy Trains exhibit. · Re-Discover Your Family – Visit the new Family Discovery Room and experience family life in 19th century Detroit with hands-on activities in the Streets of Old Detroit. 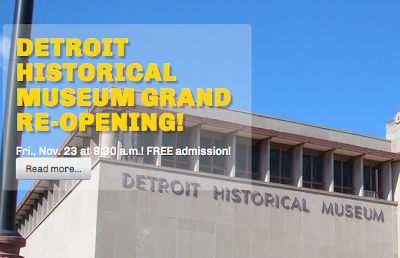 For more information on the reopening celebration of the Detroit Historical Museum, visit The Detroit Historical Museum website or call (313) 833-1805.